Although this may seem like the most obvious of tips let me explain. I have worked in the wedding industry for over ten years and have heard every horror story imaginable when it comes to getting makeup done. Do your research, social media is an excellent tool not only are you able to see what the stylist post but you can also see what they are tagged in. What type of vendors they work with, what style bride, follow their insta story for behind the scenes work. Connection is major! This person is going to be in your private space with your most important people on your most important day. Don't hire someone solely on their experience, I love to bond with my brides but professional is key I'm there to provide them with the best experience possible. If the vibe isn't right in your consultation don't settle, its worth booking the right fit. I completely understand sticking to your budget and I highly recommend putting your hair and makeup stylist on the same level as your wedding planner and photographer. I can't stress this enough, these are photos that will not only last your lifetime but will stay in your family for generations. Having a professional hair and makeup team who are experienced working with professional flash photography, weather elements ( especially in PNW) is crucial), and using the right tools to keep your makeup on all day is key. 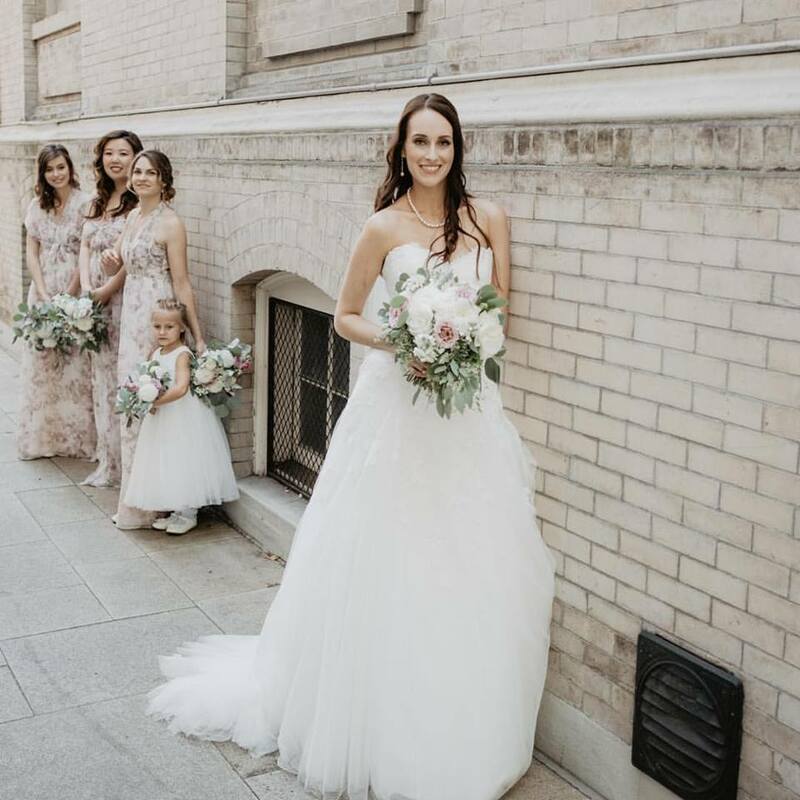 I've seen so many times when one bridesmaid goes rouge and wants to do her own, unless she is also a hair and makeup stylist I always recommend encouraging everyone to relax and get pampered together that day. When your Wedding Planner or Bestie has had fabulous experience working with a stylist trust me they want to share, don't hesitate to ask around. I've had the honor of working with so many fantastic brides through referrals. Wedding planners also know your style and vision so they are the perfect place to start your search. I was on the fence about listing this as my fifth tip but being Published on a wedding blog, Style Me Pretty, Seattle Bride Magazine, or any of your favorite Wedding Blogs is a HUGE honor. This will also give you so much insight to the style of your artist, inspiration for your wedding, a chance to see other wedding vendors they collaborated with ; florals, calligraphy, dessert, photographer etc. and more. What tips have you used when booking your wedding Hair and Makeup? I would love for you to share!